With each year comes dozens more interior design trends to keep up with! It’s best to start early because before you know it, you’ll have to start preparing for next year. 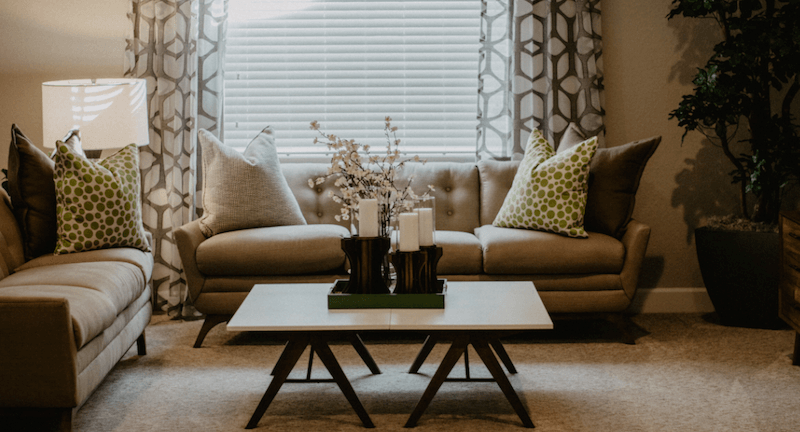 Make sure you try a few of these interior design trends that stand out to us in your own home, and you’ll be the host with the most in 2019! “Less is more” is becoming much more common than it used to in regards to interior design. This year make sure you decorate with purpose. Resist the temptation to deck out your living room with every possible decoration, throw pillow, or lamp. Keep a simple, clean look and use decor to complement the furniture in a room rather than add to it. If you can’t decide where to place that quirky lamp you bought in the ’80s, it’s probably not worth keeping. If you need inspiration we suggest catching a few episodes of Marie Kondo’s new Netflix show “Tidying Up”! Don’t worry it’s not as scary as it sounds. Biophilia simply means emphasizing the relationship between humankind and nature. There are many unique ways to emphasize a natural and organic feel to your space and you may already be a step ahead if you have hardwood floors. Other ways you can bring more biophilia into your home is with stone, plant-life, and natural light. 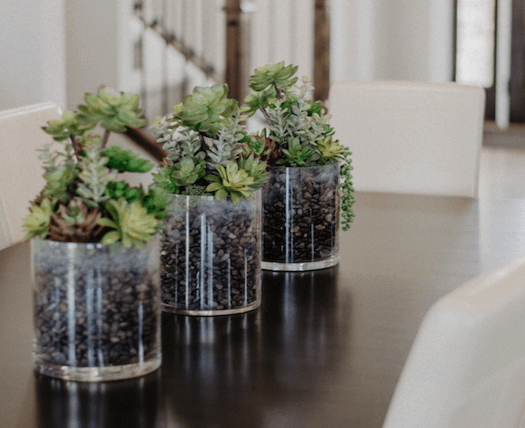 Don’t be afraid to add a few more succulents or houseplants and let the sunshine in this spring. The natural elements help bring the nature in and remind us of the exterior. In our fast-paced, technology-driven society, it’s important to use nature to decompress and relax, and a more biophilia-centric interior can do just the trick! The best design aspect about acrylic furniture is that you can give a room architectural structure without taking up too much space. Acrylic was heavily used in the 1960s and 1970s to give furniture a space-age aesthetic, which was a popular trend back then. It’s now making a comeback for different reasons, and one of those main reasons is the transparent, opaque look. For instance, an acrylic coffee table can provide a surface to be layered with more organic items and not feel busy. The main themes to take away for your interior design inspiration this year are less is more, natural, and clean. It’s important not to overcrowd any room or space. Decorating with a purpose and acrylic furniture will help you avoid a busy look, while Biophilia will help you step away from all the technology and bring a natural vibe into your home. What interior design trends will you spruce your home with this year and what trends do you wish would make a comeback? Let us know in the comments!